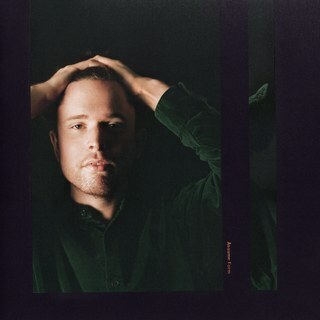 It’s safe to say that James Blake has grown in the three short years between 2016’s The Colour In Anything and 2019’s Assume Form. Very open about his mental health issues and the stigmatisation of young men with depression, Blake took his exasperation, his confusion about his place in all of this, and funnelled it into his 2016 record. Now, sitting comfortably at the forefront of pop culture, racking up celebrity mates and choking us with sweet Twitter interactions with his girlfriend and actor Jameela Jamil, Blake has reached a turning point. Assume Form doesn’t forget his torturous journey but enjoys sunbathing in the light at the end of the tunnel. Emotionally, Assume Form is acutely in focus. It speaks like a defining moment of clarity after years of murk and haze, bursting in plumes of bright oranges, yellows and blues that cut through the dark cloud that once hung over Blake’s head. The record swallows love in one whole bite and digests it bit by bit, savouring the swelling feelings of adoration, acceptance, and joy. Sonically, however, it’s a little more complex. Gone are the days of the slightly jumbled soundscapes reminiscent of wet, grey afternoons in Central London. Instead, Blake welcomes crisp drums that hark back to stark dubstep, soothing vocal harmonies and steady piano chimes offset by DIY synths. In the warmth of his tender vocals, he still injects a blast of cool air that helped to define his early catalogue. A focal point in Assume Form is the tragic and beautiful contrast between ‘Into The Red’ – arguably one of Blake’s most evocative pieces to date – and the devastating musings of his past failed relationships in ‘Barefoot In The Park’. The former puts The Good Place actress Jameela Jamil at the forefront, enveloped in a golden light. Blake credits Jamil for standing by him through the rush to fame and his consequent struggle with depression; “And the credit goes to her as the bad days become rare.” Meanwhile, the latter prickles the skin, raising the hairs on your arms as Spanish singer-songwriter Rosalía’s eloquent tones weave amongst a concoction of fluttering, metronomic trap drums. And despite the warmth in Rosalía’s feature, ‘Barefoot In The Park’ reminds us of the place Blake is fighting so hard to run from. In the past, Blake has peppered his records with features from the likes of folk artist Bon Iver, and Rick Rubin and Brian Eno to contribute on production. Assume Form invites Metro Boomin to lend his bass-pertise and Oneohtrix Point for production, André 3000, Moses Sumney and Travis Scott for a welcomed blend of R&B and soul textures. Instead of seeing them as additions to the record, Blake harnesses their unique powers to elevate a collective sound. ‘Mile High’ and ‘Tell Them’ bounce delicately atop Metro’s beat, with the former pulling the very best of Travis Scott’s dizzying flow. There’s a back-and-forth between the vocals, with Blake pitching his own vocals down to let Scott’s shine, but somewhere they meet happily in the middle. Assume Form makes the gap between Blake and his listeners even smaller, allowing him to open himself to take the handle on his own narrative. It’s a record of contrasts; of blending the dark with an ever-growing light; of wrestling with the demons that hold us back as human beings and, eventually, hopefully, winning. Assume Form is out now on Polydor Records.